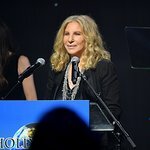 Best Buddies International, a nonprofit dedicated to creating opportunities for friendship, employment and leadership training for people with intellectual and developmental disabilities (IDD), is pleased to announce that the 16th Annual Best Buddies Challenge: Hyannis Port, will take place on May 29 – 30. More than 2,000 people are expected to participate in the Challenge – a charity walk, run and ride to benefit Best Buddies International. Tom Brady, New England Patriots Quarterback and Best Buddies Global Ambassador, will serve as Honorary Co-Chair and lead Team Tom Brady to the finish line. Celebrity Chef Guy Fieri and Congressman Joseph P. Kennedy III will join Brady as the event’s Honorary Co-Chairs. John Hailer, President & CEO of Natixis Global Asset Management for the Americas & Asia, has committed to serve as the Event Chair. During the event, John Hancock will be honored with the organization’s Spirit of Friendship Award. Several New England Patriots, past and present, including Julian Edelman, Rob Gronkowski, Danny Amendola, Tedy Bruschi, Nate Solder, Jerod Mayo, Dan Koppen and Scott Zolak are expected to attend the Tom Brady Football Challenge at Harvard Field; along with Celebrity Chef Guy Fieri. During halftime, Hublot’s Chief Executive Officer Ricardo Guadalupe and Rick de la Croix, President of Hublot Latin America, will officially launch a new Hublot Limited Edition Best Buddies Cycling timepiece. The game will be followed by the Guy Fieri Celebrity Chef Tailgate Party, hosted by Guy Fieri, a best-selling cookbook author and host of several Food Network shows, including “Diners, Drive-ins and Dives” and “Guy’s Big Bite.” Steve DiFillippo of Davio’s Northern Italian Steakhouse and eleven of Boston’s top chefs, will be partnered with Buddy Sous chefs to prepare this fabulous feast. During Friday night’s festivities, Best Buddies will present John Hancock with Best Buddies International’s esteemed “Spirit of Friendship Award” for the company’s outstanding generosity and visionary leadership in employing individuals with intellectual disabilities and contributing to a more inclusive work force. Since 2009, Team John Hancock’s 439 Challenge cyclists have raised a total of $823,188 to support Best Buddies’ mission of friendship and inclusion for individuals with intellectual disabilities. On Saturday, May 30, hundreds of cyclists, including professional cyclists George Hincapie, Christian Vande Velde, Ted King and Cameron Wurf – will take the starting line at Boston’s John F. Kennedy Presidential Library & Museum for the picturesque 100-mile ride portion of the Best Buddies Challenge: Hyannis Port, from Boston to Hyannis Port. The Challenge is open to participants of all ages and abilities and is designed to showcase the Best Buddies mission in action. It also features alternative 50 and 20-mile cycling routes, as well as the Carl Lewis Challenge, a 5K run or walk. Several other celebrities, professional athletes and special guests are also expected to participate in the Challenge, including: “Glee’s” Lauren Potter, who is also a Best Buddies Board Member, Actress Maria Menounos, Actor Michael Chiklis, American Horror Story Actress and Best Buddies supporter Jamie Brewer and Comedian and Actor Dane Cook; Miss USA 2014 Nia Sanchez; Miss Teen USA 2014 K. Lee Graham; Miss Massachusetts USA 2015 Polikseni Manxhari; Miss Massachusetts Teen USA 2015 Sophie Baird; Miss Maine USA 2015 Heather Elwell; Miss Maine Teen USA 2015 Syler Gaudette; Miss New Hampshire USA 2015 Samantha Poirier; and Miss New Hampshire Teen USA 2015 Eleanor Lathram. They will all be invited to compete in the “Friendship Races” on tandem bicycles. The Challenge will be capped off by a New England-style clambake and private concert by musical group 38 Special which all participants and special guests are invited to attend. 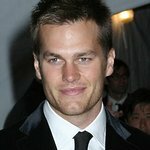 In addition to Brady, Congressman Kennedy and Fieri, Steve Finch, John Hancock; Patrick Flavin, The TJX Companies, Inc.; and Ed Ansin, President, Sunbeam Television, Corp. have committed to serve as Challenge Co-Chairs. This year’s Challenge sponsors include: Hyannis Port Club Sponsors BNY Mellon, Hublot, Pepsi, Seyfarth Shaw Attorneys LLP, Natixis Global Asset Management, Pepsi-Cola Company, The TJX Companies, Inc and Greenberg Traurig LLP; Cape Club Sponsors CVS Health, John Hancock, NBC/WHDH and Santander Bank; Craigville Beach Club Sponsors Blue Cross Blue Shield of Massachusetts, Bob’s Discount Furniture, Cooking with Kids Foundation, Crescent Capital Group, Eaton Vance Investment Management, EMC, Energi, FIJI Water, the official water of Best Buddies International, The GEO Group Foundation, Inc, Kobi Karp Architecture and Interior Design, Mark Edward Partners, Market Basket, The Parthenon Group, Pilot Freight Services, Putnam Investments, William Grant & Sons, Ltd., Harpoon Brewery; and Media Sponsors Bicycling Magazine, The Boston Globe, CBS Radio/98.5 The Sports Hub, Getty Images, the official photography sponsor of Best Buddies International, Boston Common Magazine/Niche Media, the premier magazine sponsor of Best Buddies International and 90.9 WBUR.